The Martingale Roulette System - Does it Work? The Martingale Roulette System – Does it Work? 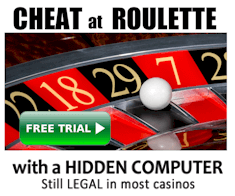 Roulette and the Martingale betting strategy are often linked to each other. Hence, a lot of beginners who are still trying to understand the theory behind this casino game hear a lot about the Martingale roulette strategy and how it purports to be what each player needs to have an edge over the casino and win a game of roulette. Basically it’s doubling bets after losses. For example: Bet 1 unit on red. If you lose, bet 2 units. If you lose again, bet 4 units. The betting progression can continue until you either lose your bankroll, or reach the table’s maximum bet. The Martingale system can be traced as far as 18th century back in France. The foundation of this strategy has a history that is at part with the introduction of roulette in Parisian casinos.This strategy was devised for a game of chance which was a simple coin toss. If the heads came up the player won and lost when the tails come up. For this game, the player should double his betting amount in case of a loss. The reason behind this is for the player to recover all of his previous losses including profit equal to the original betting amount. 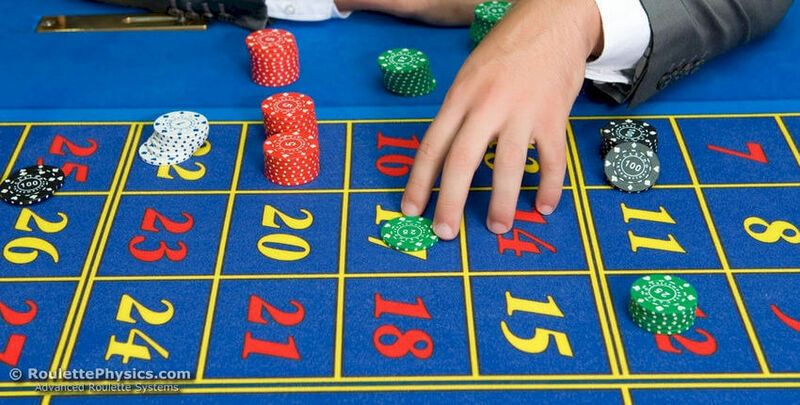 Since the chances of winning for roulette is almost the same as the odds for winning in a coin toss, this strategy is often applied to roulette especially for bets with an even payout. Despite its growing popularity, no one can deny that the Martingale has its fair share of criticisms because it is not probable especially when the player has a limited bankroll. Ultimately, the player will run out of money to bet on the table because the strategy calls for the player to double the amount of his bets after every loss. But this is not ideal in some situations as the bankroll for each player is limited; making it hard for a player to recoup loses which are sustained during a losing streak. Since this system holds to the belief that it is possible to have a winning or a losing streak, it would defy the basic laws of probability. The result of each spin will in no way affect subsequent spins. This strategy will only work when a player comes with infinite wealth but this is not possible as there is and will always be limits as far as a player’s ability to continue betting double the amount of the previous bet in case of a loss. Although the player can recover everything in just a single win, it would be difficult to tell when that win would occur which may be after the player has depleted his resources. Despite having a lot of criticisms, the Martingale system has a lot of fans especially gamblers who are hoping that they will be able to turn their luck around by just winning once. The idealized version of this strategy plays a huge role in encouraging a lot of people to go for this progression system and base their betting style on it. 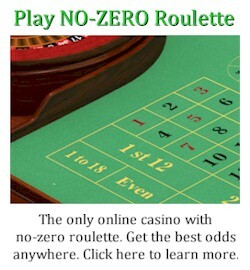 There is a general belief that the chances that the next six spins will result to a loss is considered to be remote, at least based on the assessment of players. They also hold on to the belief that as long as they stick to this strategy, they will surely win all of the bets that the lost. This psychological belief is one reason why there are some players who go bankrupt while using this strategy. In fact, there was one study that showed that players rarely add five losses in a row. Even with the seemingly remote possibility of happening, it is possible to experience an extended streak of losses. This strategy is highly different from the original Martingale strategy in the sense that the player doubles the bet after winning. This is considered to be more conservative than the original Martingale strategy although it remains to hold the same premise as the original strategy. The reverse Martingale strategy is supposedly devised to help the player exploit winning streaks. This way, the player would be able to maximize his bankroll. From a mechanical point of view, the Martingale’s ability to help a player win does not give the player an edge over the house. Although it is a way to deal with how the bankroll is managed, nothing is said about which colors to bet on and how to tell in which slot the ball will land. Of course, this strategy can be used both for American and European roulette and there are players who have made money using this strategy. For those who could sustain and apply it, this may help in beating roulette. But for those who don’t want to take any chances, it would be better to develop a system which could also improve the player’s ability to tell where the ball will land not just how to manage their bankroll. 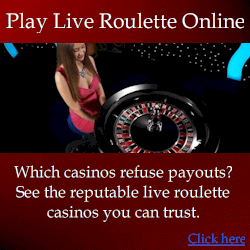 See how to win at roulette for a detailed explanation of the roulette systems that work. One Response to The Martingale Roulette System – Does it Work? You should mention the page about how to test your system on the right side of the site. This has better information in my opinion.